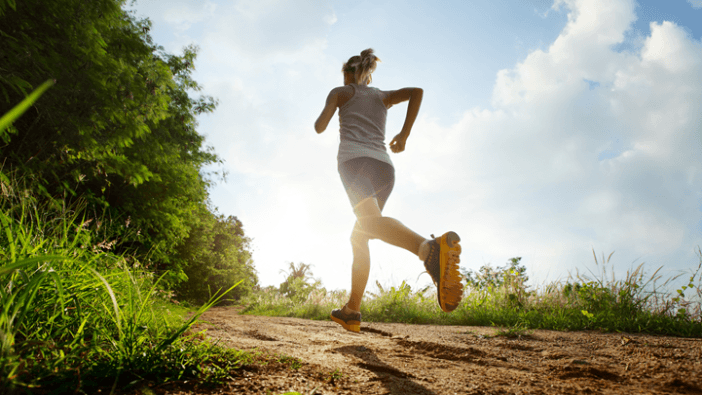 While many relish the opportunity to take both play and exercise outdoors as the weather continues to warm, it’s important to remember that beneficial exercise comes with an added level of risk when done in the summertime heat. Heat adds an extra level of stress to the body as you exercise and can be dangerous if you don’t go about it mindfully. Whether you’re jogging, golfing, or doing chores around your yard, taking precautions when exercising in the heat can reduce your risk of illness and injury. As exercise is combined with rising temps, there is a subsequent increase in your body’s temperature and your body responds by circulating more blood to the skin for cooling, leaving less blood for your muscles. This increases your heart rate while putting you at risk of developing a heat-related illnesses such as cramps, heat exhaustion and even heat stroke. These symptoms are most often caused by exposure, dehydration and salt depletion. If you develop muscle cramps, become nauseous, feel weak, or suffer a headache, dizziness or confusion, it is important that you stop exercising immediately. Seek shade or a cool environment and replenish fluids (water or sports drink, avoid caffeine). Contact a medical professional if symptoms continue for more than about a half-hour as this may be a sign of heat stroke which is a much more serious condition. Practice Good Timing: Avoid midday workouts by exercising early in the morning or late in the evening. By avoiding the hottest time of the day, you’ll also be avoiding the sun’s harmful rays. Acclimate Your Body: It can take a week or two for your body to acclimate to hotter weather, so take it easy during the early summer heat. Start the season slowly, gradually increasing workout length and intensity. Drink Early & Often: Drink before, during and after your workout. And don’t wait until you’re thirsty as this is often a sign you’re already dehydrated. Hydration is a key to preventing heat-related illness. Dress for Heat/Protection: Wear light, loose-fitting, bright-colored clothing that will help sweat evaporate, keeping your body cool. Also, protect yourself by wearing sunscreen with a high SPF. Establishing a workout catered to your personal strengths and weaknesses, especially when faced with extreme weather conditions, is also essential for maintaining a safe exercise regimen. If you have any questions about what is right for you, feel free to contact the clinic and one of our PTs would be happy to talk with you. The team at Alpine Physical Therapy provides clients comprehensive strength and movement assessments that provide the foundation for developing individualized plans for fitness, health and performance enhancement. Now the fun part is actually getting out and enjoying the great days ahead of us! I didn’t know that bright-colored clothing could help sweat evaporate! I really liked how you stated how essential it is to drink early before a session of physical therapy or workout. My wife is thinking about becoming a trainer and I will definitely let her know about some of these great tips!